Vapor barriers are an important part of a crawl space. 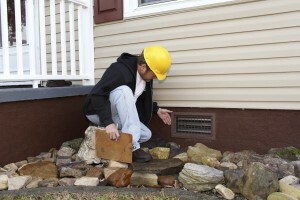 They keep moisture, soil, and contaminants from seeping into your home’s foundation. However, a damaged vapor barrier can do more harm than good by holding in moisture and contaminant from animals and insects. That is when it is time to call for vapor barrier removal in Beaverton by The Killers Crawl Space Restoration. The area under your Beaverton home makes a great living space for insects, rodents, and larger critters like raccoons and opossums. They can all do damage to a vapor barrier by tearing holes in it and pulling sections away from where they are secured. This allows wood-eating insects, such as termites, easier access to your home’s foundation as well as holding allowing moisture to get trapped against the foundation. All of these can create quickly spreading damage to your home or office. Damage done by mold and insect activity can move through the foundation and ducts into your home. These forms of contamination can become a serious threat not only to the structure of a home, but also to the health of its inhabitants. Once damage has occurred to a vapor barrier it loses its purpose altogether. The best way to successfully complete a vapor barrier removal in Beaverton is to call in our restoration professionals. 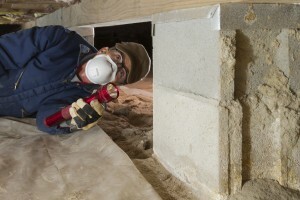 Every part of a crawl space adds or takes away from its proper air flow and the functionality. Having a functional vapor barrier is a large part of that. When a vapor barrier needs to be removed the mold, mildew, animal droppings, and debris can be dangerous to be around. Not removing it properly can lead to the spread of mold spores. Improper removal may also result in a person inhaling these dangerous health hazards. It is important to have the right equipment and know-how to preform a vapor barrier removal. The Killers Crawl Space Restoration has what is needed to carefully and safely remove your home’s vapor barrier in Beaverton. We are experts on your crawl space. We handle everything you need from removal to repair. Our estimates are upfront and in writing. Our experienced professionals are happy to communicate the process with you, throughout. Our reputation as courteous, friendly, and affordable has given us our high customer reviews and many word-of-mouth referrals. That is why we are the top source for vapor barrier removal in Beaverton and the surrounding areas. While removing your vapor barrier in Beaverton, The Killers Crawl Space Restoration is able to handle any clean up necessary. This includes mold removal as well as insect removal. If damage extends into your insulation, we offer insulation removal and replacement services as well. We are the premier crawl space restoration service in Beaverton because we can do it all! 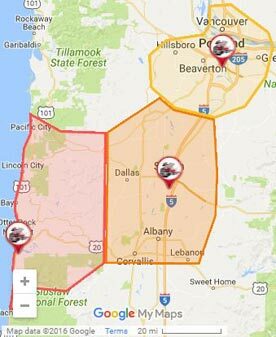 Contact The Killers Crawl Space Restoration today for your vapor barrier removal in Beaverton or surrounding areas. The Killers Crawl Space Restoration loves working for Beaverton residents! With the wonderful diversity and cultural events always going on, Beaverton, Oregon is not a place to be missed. From the Cedar Hills Crossing shopping mall to the Celebrate Beaverton Cultural Festival, there is always something to do on Beaverton!